How much time do you spend thinking on your own ways? 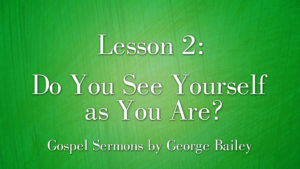 It might be that we’ve been examining others, rather than examining self. 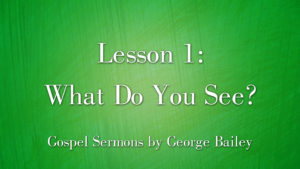 In this lesson, George Bailey takes an in-depth look at self-introspection according to God’s Word. We see only what we are prepared to see: things in circumstances, people, self, and all around us. When we are pure in heart, then we can truly see things as God wants us to. 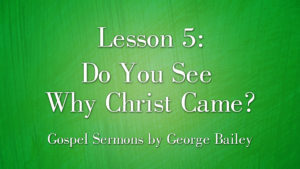 In this lesson, George Bailey presents how we can see things with a Christian perspective. 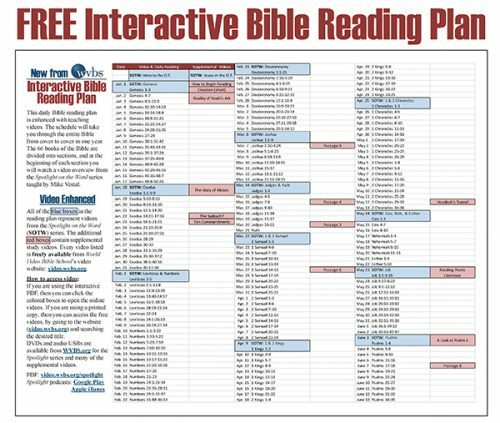 While our finite minds cannot grasp everything about our Creator, we can find out about him by searching His Word. 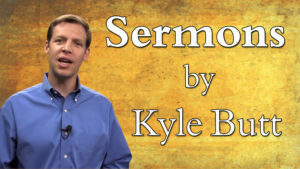 The Bible reveals to us everything we need to know about God. 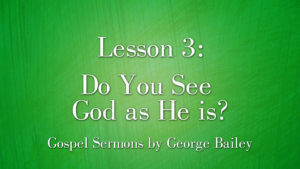 In this lesson, George Bailey presents how we can see God as He presents Himself in the Bible. The Bible claims to be many things. 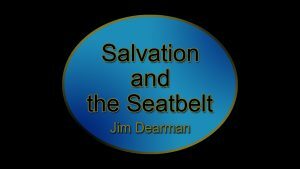 It claims to be the word of the Lord; it claims to free us from our sins; it claims to show us the correct way to live. But can these claims be substantiated? 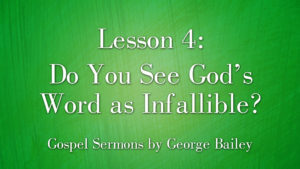 In this lesson, George Bailey presents how we can know that the Bible is the true Word of God and infallible. Jesus came to this Earth to give us give us access to our Heavenly Father. He endured hardships, was hated by men, and even gave His own life so that we could have eternal life. 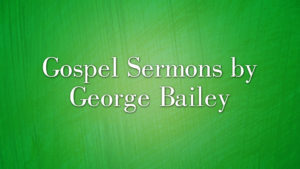 Join George Bailey as he gives an in-depth Bible lesson about our Lord and Savior. 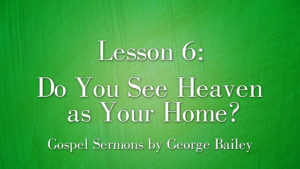 Can a person know for sure they are saved, and that they will spend eternity in heaven? The Bible says that we can! 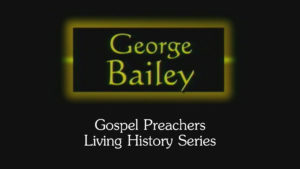 Join George Bailey as he delves into a Bible study on this important topic.